While I know a lack of sleep to be one of the most threatening factors to the health of our skin, I try and I still can’t get on the right side of rest. It makes an incredible difference yes, but I would also like to find products that can help combat the visible signs of a poor night’s sleep. The Clarins Boosters seemed a good way to go. There are four within the range, Energy, Radiance-Plus, Detox, and Repair, each housed in a cute bottle like this, with 15ml of product. I picked up the Energy booster as my first sample of the range. Though I don’t usually buy Clarins, because I’ve long since known which side of the paraben argument I fall on, this is one of the few products in the Clarins range that’s paraben free. The Energy booster is targeted at minimizing the signs of fatigue, and in doing so revitalising the complexion, toning, and increasing radiance. The key ingredient is Ginseng Root Extract, but it also contains a peptide and wheat protein, along with glycols, which correct me if I’m wrong, are synthetic ingredients. So there seems to be a contradiction between the ingredients and the promised potent plant extract rich formula. Plainly, it doesn’t do much of anything for my skin. I’ve used this booster as a treatment on particular days and then on consecutive days, but I could only spot a minor difference to my complexion after six straight days of using a generous amount, and I’m not sure I’d contribute that difference to it. I would say, as instructed, don’t apply it directly to your skin, because I did feel an uncomfortable tingling one time I didn’t use much moisturiser to mix it with, but other than that, I use at least five to six drops per application without any issue. To be blunt, if you’re looking for an effective radiance booster, I wouldn’t recommend this at all. I think there are products much more capable, and considering this 15ml bottle costs £30, it’s been a waste of money. If you’re curious though, I would suggest asking for a sample first before you commit. 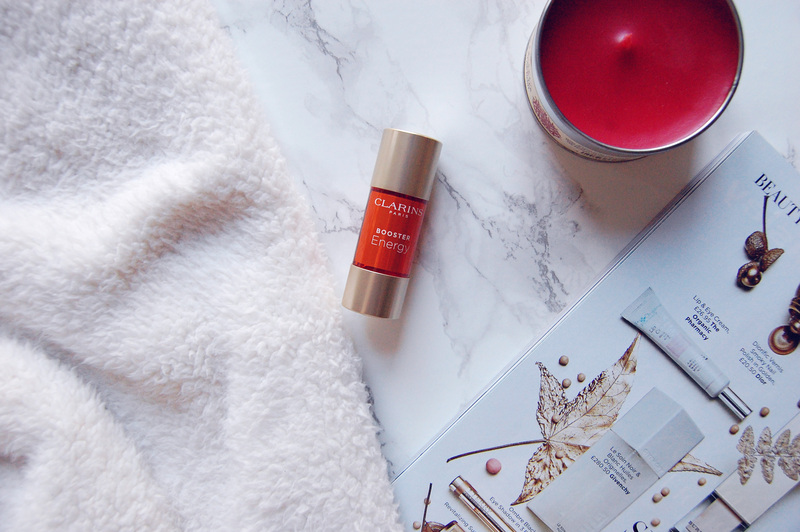 Have you tried any of the Clarins Boosters?